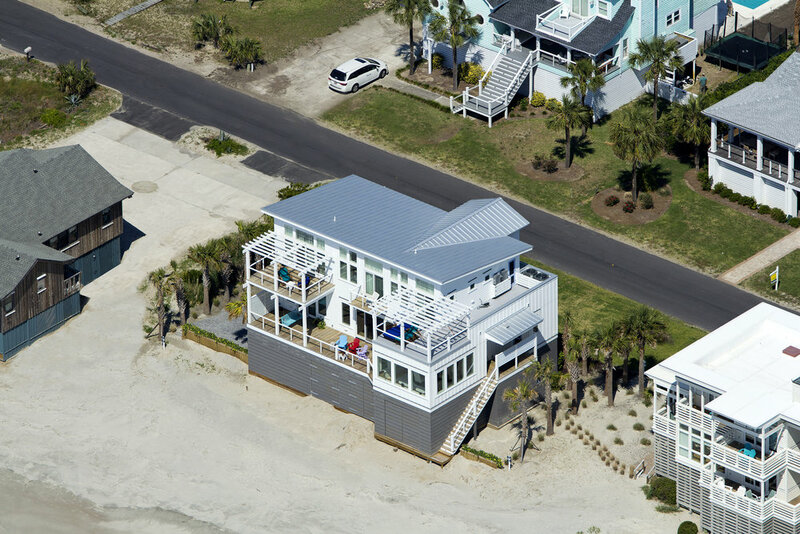 A Sullivan’s Island beach home featuring a contemporary flair. Traditional siding and roofing combine with clean, crisp lines to create a home both familiar and unique to this seaside town. The ocean side is predominately glass with a dining space that extends out above the Atlantic.